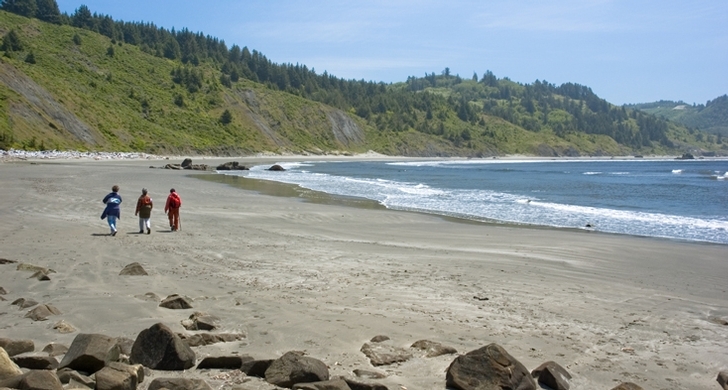 Cape Sebastian ... the very name invokes images of early Spanish explorers and long journeys. The cape was named in honor of Saint Sebastian in 1603 by the Spanish navigator Sebastian Vizcaino. 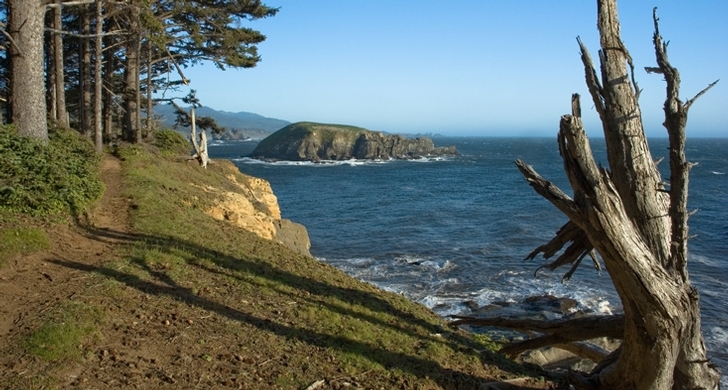 The most striking feature of this park is the panoramic view, both parking lots are over 200 feet above sea level. At the south parking vista, you can see up to 43 miles to the north with Humbug Mountain filling the view. 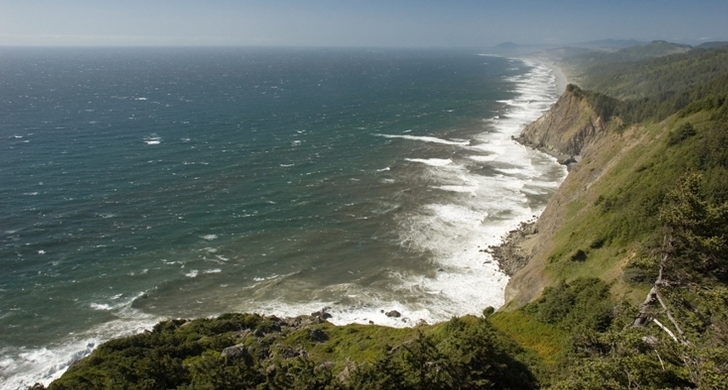 Looking south, you can see nearly 50 miles toward Crescent City, California and Point St. George Lighthouse. A deep forest of Sitka spruce covers most of the park and a 1.5 mile walking trail takes you out to the lower levels of the cape. If you're lucky, the trail will give you a chance to enjoy awe-inspiring views of the gray whales on their bi-annual migrations.